1. Connect the cable marked "IN" to the MIDI "OUT" socket of a MIDI keyboard (or MIDI device). 2. Connect the cable marked "OUT" to the MIDI "IN" socket of a MIDI keyboard (or MIDI device). 3. 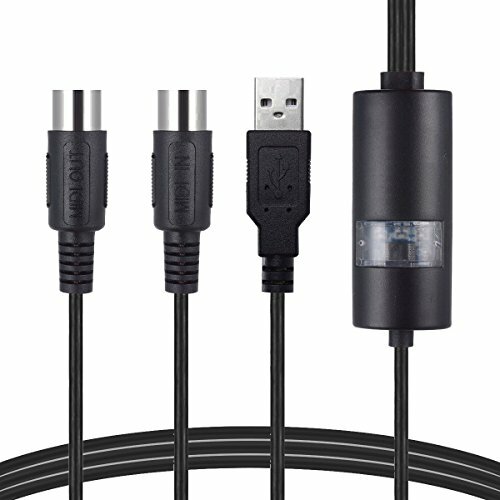 Plug the USB cable into any free USB socket on your computer. 4. Open your music software program, e.g. Cubase, Sonar, MIDI Connections, etc. 5. Set the music programs MIDI in and MIDI out devices to "USB Audio Device". 6. Your USB to MIDI interface is now ready for use. 7. To save potential problems, it is recommended that this interface is always connected to the same SUB as it was originally installed on USB to prevent multiple installations of the driver. ✅100% Brand New And High Quality! If you have any questions about this product by Beracah, contact us by completing and submitting the form below. If you are looking for a specif part number, please include it with your message.